Featuring a magnificent hand-selected Shimansky diamond in the center, the Two Hearts solitaire diamond ring symbolises the coming together of two soul mates, as they enter into the journey of life together. Crafted in romantic 18K rose gold, this signature contemporary design is a Shimansky original. 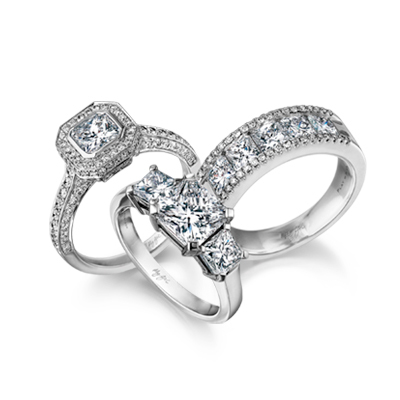 Learn more about the exclusive Shimansky Two Hearts diamond ring design.